"Adobe Flash Player 11.8.800.94 Final"
Adobe Flash Player is the high-performance, lightweight, highly expressive application runtime that provides uncompromised viewing of expressive applications, content, and videos across browsers, mobile phones, devices and operating systems. Deliver more engaging user experiences with the Adobe® Flash® Player runtime through support for native 64-bit operating systems and browsers. The Adobe® AIR, runtime enables you to have your favorite web applications with you all the time. Since applications built for Adobe AIR run on your desktop computer without a web browser, they provide all the convenience of a desktop application. 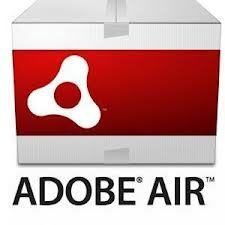 Companies like eBay and AOL are using Adobe AIR to create exciting new applications that allow you to use their services on your desktop.